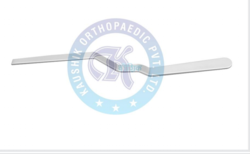 Our company is involved in manufacturing and exporting Volkmans Retractor that are used in surgical and other application in hospitals. 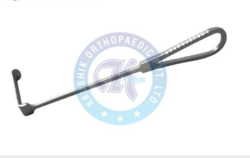 As per the industry standards and norms, we have developed our range of these instruments by utilizing the premium grade raw materials and sophisticated technologies. 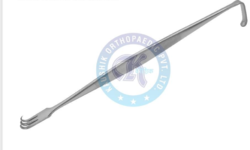 We are enlisted as a leading manufacturer an exporter of Senn Miller Retractor. We are equipped with the modern infrastructure facilities that enable us to take the bulk order from the clients and execute them within the short span of time. 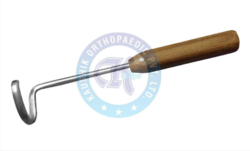 Our qualitative range of these retractors is available in safe packaging and at most economic rates. 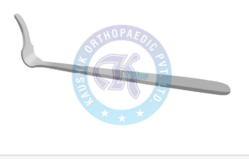 Size 1.75 " x 0.5 " and 0.875"x 0.5"
Size 6", 7", 8" and 9"
We are engaged in manufacturing and exporting a large gamut of Backmann EDSON Self-Retaining Retractor. We have made the use of stainless steel in the fabrication of these retractors that are sourced from some of the reputed and well-known vendors of the industry. We have designed these retractors in such a way that they are suitable for surgeons. Looking for “Retractor and Elevators”?